Caption slip reads: "Photographer: Monteverde. Assignment: Automatic hospital bed. 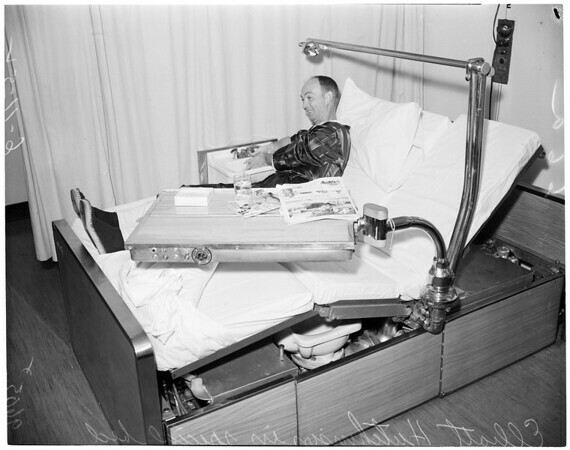 3/4/65/66: Elliot Hutchinson in Beem Hospital bed which is automatic. Elliot Hutchinson in bed with control panel".